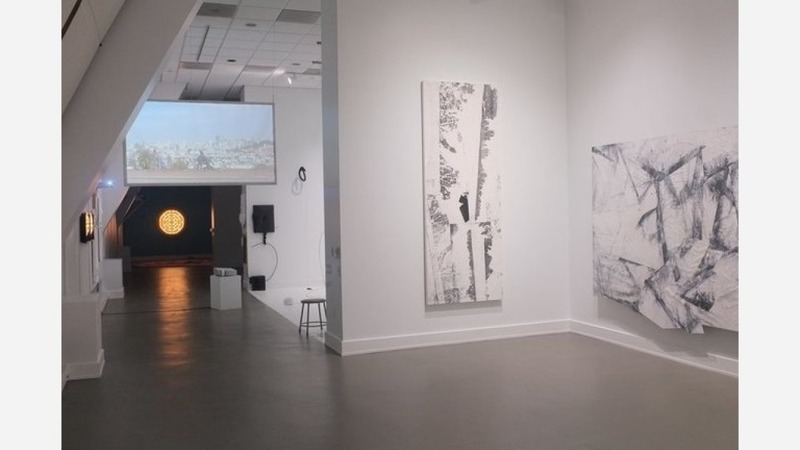 The artists--known for pushing the boundaries of their respective genres--came together for a group show featuring experimental ink painter Zheng Chongbin, mixed media and installation artists Summer Lee, Beili Liu, Adrian Wong and Stella Zhang, and fiber artist Dora Hsiung. "We are extremely proud to be part of their success and trailblazing achievements," said CCC executive director Mabel Teng in a statement. "Since their solo shows at CCC, many of the XianRuiartists have earned a great deal of critical acclaim and have become established in the art world with their work now in international exhibitions, art fairs, and public and private collections," Teng said. Revisiting the artists' paths reveals a shifting mainstream and recognizes that the artists have gained a "foothold in the art scene for Asian-American artists by adding their stories to the narrative of art history," said Chen. 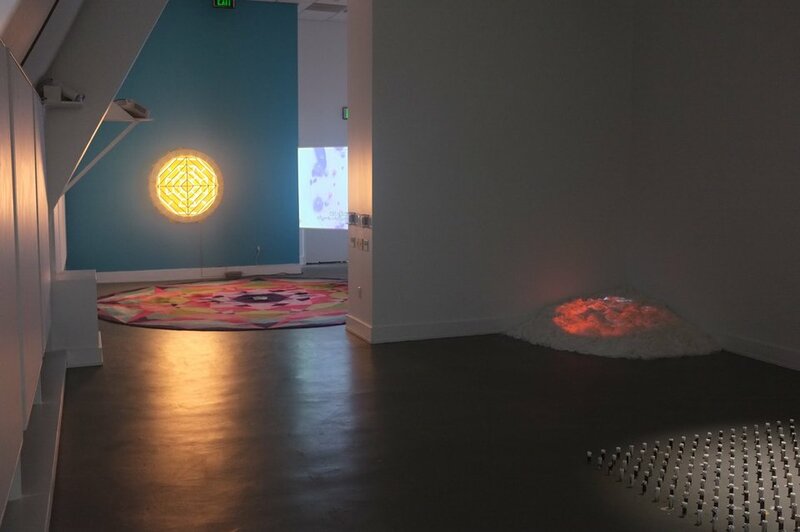 "The anniversary show asks what new questions about Asian and Asian-American artistic discourse have been raised by the artists and how they might think beyond the original parameters," said Duan. The outcome features 16 works that "challenge the binary system of gender, nature, and others," Duan added. Having a platform that showcases Chinatown's vibrancy and talent is paramount for the center, said director of communications Jenny Leung at the opening and "pushes the boundaries for showcasing talent that is not tied to only to traditional concept of identity," Leung said. XianRui "gives artists a springboard for further artistic investigation, as well as the opportunity to dialogue with other institutions," said artist Zheng Chongbin, whose work has been collected by The Metropolitan Museum of Art, LACMA, and Brooklyn Museum, among others. And for artist Summer Lee, "It took 7 years to find the money to have my show here," she said. "Taking a risk on me was very special to me. The opportunity has a snowball effect, one opportunity leads to another. It's harder to grow inside your studio, that's why it's special for an organization to support artists having exhibition opportunities and to reflect on your works and take risks." XianRui is open Tuesday-Saturday 10am-4pm and runs until August 18th.